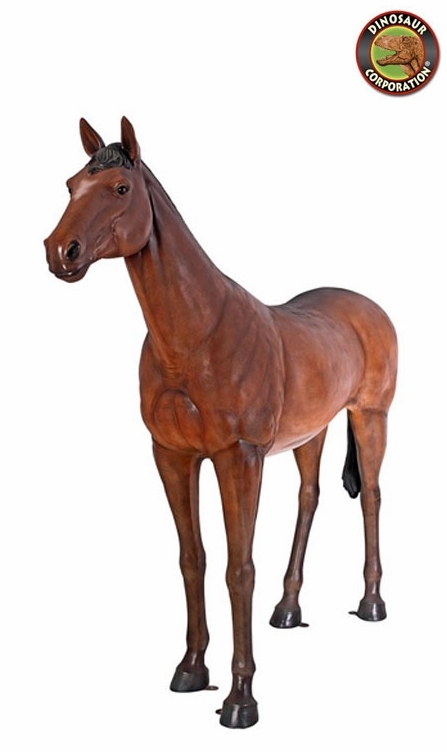 Life-Size Horse Outdoor Statue Garden Sculpture. 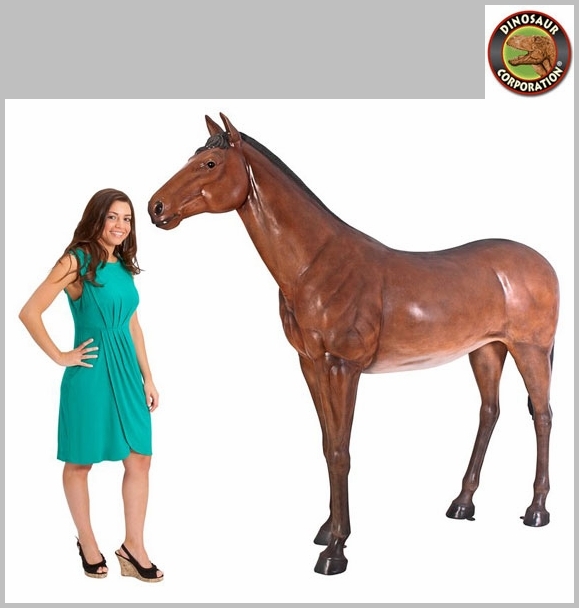 Though this young chestnut filly sculpture is a work horse, she's also a beautiful equestrian statue in her own right. With a fluidity of motion even while standing still, this muscular icon is the epitome of beauty and grace. * Size: 90" W x 22�" D x 82" H.
Not designed to be load-bearing, please do not climb or sit upon the horse.